We are a chief Exporter and Supplier of Laboratory Board (DSP55XX). 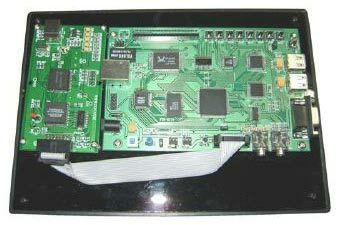 This package is a fully functional learning and development platform based on TMS320VC55XX DSP. DSP55XX boards both as a development board for users to learn, and as an embedded system board for the users secondary development of products in order to shorten the product development cycle. The market is by far the most cost-effective 5509 development board. TMS320VC550XX, 32-bit fixed-point high-speed digital processor with highest frequency of 200 MHz. 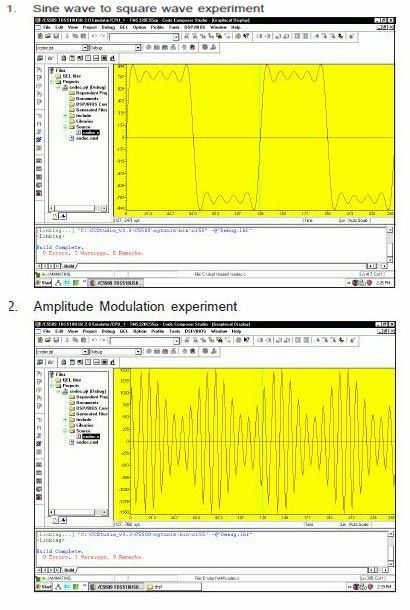 To understand sampling theorem & generation of waveforms like Sine, Square & Triangle. To study FIR Filter implemention. To study Auto correlation & Linear convolution.